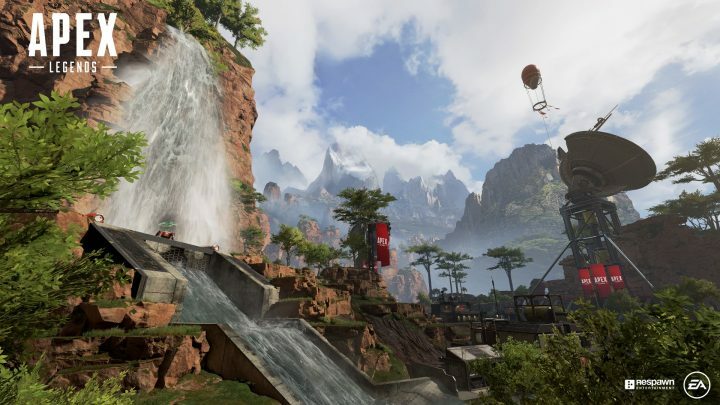 Apex Legends is a new Free-To-Play Battle Royale FPS from Respawn Entertainment, the developers that created the Titanfall series. The developers didn’t include giant mechs, but they did add a slew of slick cosmetics for each unique character. You’ll get six free cosmetics depending on your system of choice — and whether you’re a subscriber to a particular service. There are two free cosmetics packs you can claim — one that’s unique to PS4, and one that’s made for your PC’s Origin account. Unfortunately, crossplay doesn’t yet exist for Apex Legends, so you won’t be able to share the same account on multiple platforms. The PS4 stuff, specifically, is very blue; and features the “Greatness Awaits” tagline. You can check out all the info you need to download, and see what the PS4 items look like in the gallery. There are two cosmetic packs that are available for free — a PS4 pack, and an Origin (PC Only) pack. To get them, you’ll need to be a subscriber to each particular paid service. Subscribe to PlayStation Plus to unlock the free PS4 Cosmetics pack. Subscribe to Origin Access to unlock the free PC Cosmetics pack. Why is this a bonus? Because normally, you don’t need PS+ / Origin Access to play Apex Predators online. It’s a truly F2P game, because you don’t even have to pay to play the game on consoles. Pretty nifty, right? So these bonuses give you something back. Just brows to the Apex Predators DLC page to find your free items. The PS+ pack includes 6 items — 2 character skins, 2 weapon skins, and 2 banners. They’re all blue and PS4-themed, so you can share your Sony pride. If you’re into that sort of thing. All the cosmetics are visible in the gallery above. Just scroll through it to see everything in order.